Canada is the fourth largest producer of genetically modified (GM, also called genetically engineered) crops, and now Canadians are the first in the world to eat a genetically modified fish. What GM foods are we eating, and what’s next? What can we already conclude about the impacts and risks of GM crops and foods in Canada after twenty years? This webinar provides a run-down of where we are with the technology and its products, provides food movement activists with some information and analysis to examine the present and future of GMOs. 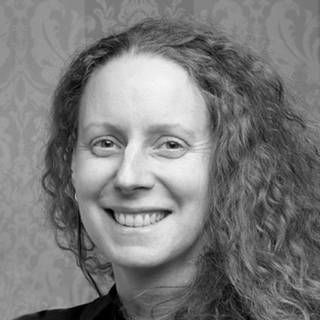 Lucy Sharratt works in Halifax as the Coordinator of the Canadian Biotechnology Action Network, also known as CBAN. CBAN brings together 16 organizations including farmer associations, environmental groups and international development organizations, all of which have serious concerns about genetic engineering. Lucy previously worked as a campaigner and researcher on this issue at the Sierra Club of Canada and the Polaris Institute in Ottawa. Lucy also coordinated the International Ban Terminator Campaign which secured a strengthened global moratorium on genetically engineered sterile seed technology. Passionate about ecological agriculture and good food, Genevieve always worked to promote local organic agriculture in Canada and abroad. In University, Genevieve was a baker for a student-run vegan local organic cafe. She also founded a group that served free healthy meals to students at events. As soon as she graduated from Environmental Studies, Genevieve went to work on a farm in Havana (Cuba) where she promoted urban agriculture and managed a demonstration garden where she taught students how to grow food. Back in Canada, Genevieve coordinated a collective garden in Montreal and was soon hired as director of an Éco-quartier, a position she only left to focus on her true passion: agriculture. 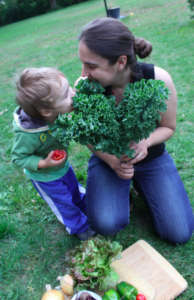 From 2007 to 2009, Genevieve coordinated Soup’s On!, an innovative project at Equiterre aimed at introducing local organic foods in daycares, schools and hospitals. There, Genevieve also co-wrote an educational kit named Soup’s On! as well as a storybook for kids (Kiko et le potager coloré) in order to help kids make more responsible food choices. Genevieve now works at USC Canada where she helps inform and mobilize the public on important food issues. In her spare time, Genevieve loves farming with her husband and her two young sons! Genevieve was recognized by Oxfam in 2012 as being a Female Food Hero. Gen is only on the farm part-time but steers the communications, marketing and business development on the farm. Eric holds a Master's degree in environmental studies and has worked for non-governmental organizations in environmental education and community-based conservation in rural regions of Canada and in Latin America. Eric joined Inter Pares in 2005, to support its work with pan-African and national-level organizations promoting agroecology and food sovereignty and control over resources. 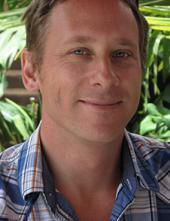 Since 2011, Eric has also been coordinating an action-research project on landgrabs in West Africa. In Canada, Eric has worked to build greater linkages among social movements for greater economic justice and food sovereignty. This includes supporting the creation of the Canadian Biotechnology Action Network (CBAN), where he was Chair from 2006 to 2011, and of the People’s Food Policy Project. In January 2012, Eric was elected Chair of the Board of Food Secure Canada. His work at Inter Pares now focuses on the Africa region, liaising with counterparts on the issue of control over resources and Food sovereignty.